You may have heard of yeast overgrowth by it’s other name, Candida (or Candida albicans). Candida is a type of fungus, a one-celled organism. Everyone has some Candida in their body, and quite often it lives in balance with the bacteria in your body. Sometimes however, it can go a little crazy, and start to dominate your body’s ecosystem. Too many course of antibiotics. Antibiotics disrupt the eco-system in your gut, killing off lots of bacteria, good and bad. In doing so, it allows candida to take over, it doesn’t have to compete with bacteria any more. Too much sugar and refined carbohydrates in the body. Candida loves sugar, and worse than that, it makes its host (the child) crave sugar. So a child with candida will get into a vicious cycle, of craving sugar, which feeds the Candida, which makes the sugar cravings even worse! Heavy metal toxicity. If your child has been affected by lead, mercury or another heavy metal, this will make them more susceptible to Candida overgrowth. And until you can get rid of the heavy metal, the candida will be hard to treat. Doing a hair tissue mineral analysis (HTMA) will show if your child has a heavy metal issue, which you can then treat using food and nutrients. So why is it so bad to have a candida overgrowth? If you have ever had a candida infection, you will know the physical discomfort this can bring. But the problems run deeper than this. Just like the problem bacteria Clostridia, Candida will form toxins (metabolites) in the body which can affect the brain and cause behavioural problems. The toxins can leak out of the gut and into the bloodstream, which means they can get to the brain. How do I get rid of the Candida overgrowth? Certain types of probiotics, if taken in sufficient quantities will help to dampen down a candida overgrowth. That is why it is a good idea to take probiotics at the same time as taking the antibiotic, to make sure Candida doesn’t over grow. Remove sugar from the diet. All forms of sugar need to be removed for a while, this even includes fruit. The only fruit that can stay is lemons and limes. This is an essential step to take, as if you keep feeding the Candida, you will never get the upper hand. Drink Kefir. Kefir is a fermented milk drink, and it helps your gut ecosystem get back into balance. It tastes a bit like drinking yoghurt. The sugar in the milk has been digested by the good bacteria and yeast in the kefir. Add sauerkraut into your diet. If you have never had sauerkraut before, start with a very small amount, or even start with sauerkraut juice. Similar to the kefir, sauerkraut will help to rebalance the ecosystem in your gut, so Candida can’t dominate. Sauerkraut is really great for digestion, as raw vegetables contain enzymes which will help remove toxins from the body and strengthen your immune system. Strengthening your immune system will help your body defend itself again Candida overgrowth. When I work with children with mood or behaviour issues, I run both a HTMA and a combined food allergy + Candida test. That way I can tell from the very start if heavy metals, nutrient deficiencies, food allergies or candida is the issue. This makes treatment much faster! What foods can cause behaviour problems? 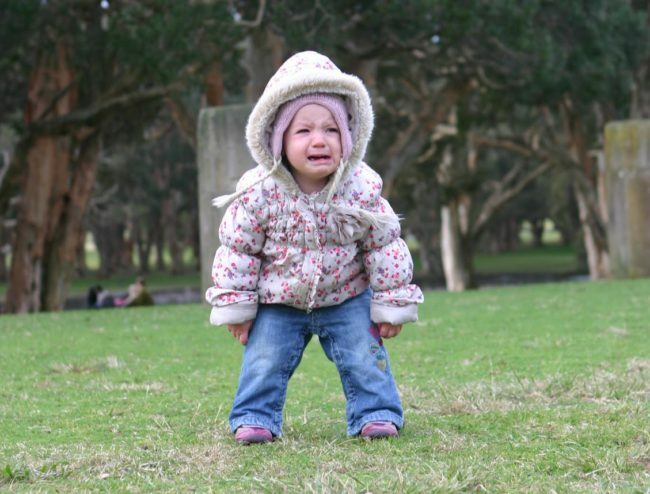 Do you have a child that has tantrums they should have grown out of already? 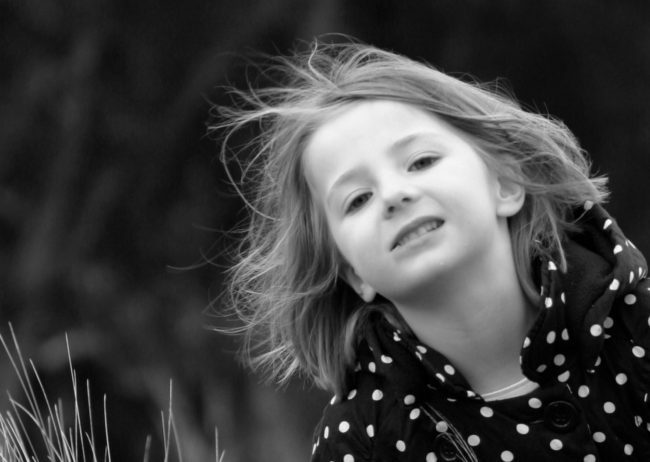 Does your child have mood swings, and can be sent into a rage over the most trivial things? Is your child spacey at school, and struggles to focus? There are some changes you can make to their diet to improve all these things! 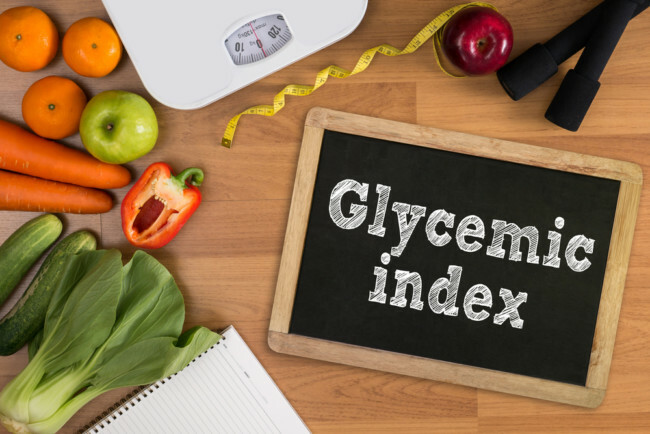 You might have heard about the Glycaemic index (GI). It’s a rating system to let you know how much a food is going to raise your blood sugar. Eating a low glycaemic index diet is a well known way to lose weight and control high blood sugar issues. It is also great to regulate behaviour! Have you ever had that hangry feeling? When you are due to have a meal, but haven’t got round to it yet? This can make you very irrational. You can’t think straight, and you lash out for no reason. This can happen to children too, when they eat foods that make their blood sugar spike and then fall very dramatically. It affects their mood and behaviour, and it doesn’t matter how much you reason with them or discipline them. Their emotional regulation systems are out of control. Stay away from regular white bread at breakfast. Opt for lower glycaemic index choices like sourdough, grainy bread, porridge made from rolled oats (not quick oats) or a paleo bread. Or you could serve up some eggs and fried mushrooms, or my breakfast pulled pork instead. Have protein and fat at every meal or snack. So if you child is having an apple after school, chop it up and give it with a peanut butter dip (or sunflower seed butter if allergies are an issue). Serve some hummus with carrots, or just a boiled egg! Stay away from highly processed, high carbohydrate foods. Some of the worst foods for spiking your child’s blood sugar are rice crackers, rice cakes and potato chips. Try to replace these with foods that have a lower GI. Good choices are raw nuts, seed crackers, roasted chickpeas or fava beans. Children should only drink water. Drinks like juice, energy drinks or soft drink are full of sugar and will cause huge fluctuations in blood sugar. Save your money, and stop buying juice, soft drinks and energy drinks and just give water. Beware of smoothies you buy in cafes and food courts as they have a lot of sugar. Brown rice has a bit more fibre than white rice, and is more of a whole food, but it is still high GI. There are lots of red rices and black rices on the market now, and readily available in the supermarket. Try these instead, and they have big gut health benefits too (always helpful for mood!). Basmati is the lowest GI white rice, or introduce your children to quinoa as a rice substitute. Lots of kids have 2 minute noodles after school, as it is something they can prepare themselves. These are full of additives (which we’ll talk about in another blog!) and very high GI. Look out for buckwheat or soba noodles, and prepare some on a Sunday night with some stir fried veggies and garlic. Put into single serve bowls in the fridge, and your child can still help themselves. It’s sad to say that potatoes are very high GI. The good news is that you can cook potatoes, let them cool, and then serve as a potato salad the next day and the GI will be much lower. This can even go into the lunch box as a sandwich or cracker alternative. Bring back the beans! Pulses (also called legumes) which include lentils, beans and chickpeas. These can be served with a main meal, instead of rice, pasta or potatoes. Use cannellini beans to make a mash, just like mashed potatoes. Cook a dahl with lentils and serve alongside a curry. Or roast some chickpeas and throw them into a salad. Last but not least, if your child has mood swings, they shouldn’t be eating lollies, cakes, muffins and chocolate. These cause dramatic fluctuations in blood sugar and massive crashes when the blood sugar drops. Reconsider your mindset that children are entitled to treats. Children are entitled to happiness, love, and parent’s devotion. Not treats. Have you ever thought that organic food is too expensive? What if I told you that your child’s mood and behaviour can be improved, just by making the switch from conventionally grown food to organically grown food? I think most families would like to improve their children’s mood and behaviour! Research shows that children with ADHD have higher levels of pesticide residues in their urine, these are the chemicals that come from eating non-organic food. If a pregnant lady eats non-organic food, the brain of her developing baby can also be affected. There are a few reasons why non-organic food has such an impact. One reason is that glyphosate, one of the main chemicals which is used to spray crops, actually kills bacteria. Prevailing wisdom used to be that humans aren’t bacteria, so this doesn’t matter. As we learn more about the gut microbiome, we realise that we are actually more bacteria than we are human. Eating food with pesticides is like taking a long term, low dose antibiotic. This kills off your good bacteria and lets the bad guys flourish. Having low levels of good bacteria affects our mental health and can lead to issues like anxiety and depression. Your mitochondria are the power houses of every cell in your body. Children with ADHD have mitochondria that don’t work as well. Pesticides will damage these mitochondria, so to keep them healthy, stick with organic food. An important antioxidant in your body is glutathione. It helps you detoxify chemicals and ironically, pesticides will reduce your levels of glutathione. So not only are you taking on more chemicals that need to be detoxified, but you are also reducing your ability to get rid of these chemicals. Inflammation in the brain is also a big factor in brain health. Anything that increases inflammation in the brain is going to make behaviour worse and pesticides will do that. There are lots of other reasons to switch to organic food too. Organic food tastes better! Once you start eating organic apples, you will never go back to conventional apples. The flavour just isn’t there. I still remember the first time I tried organic yoghurt about 20 years ago! It was sensational! 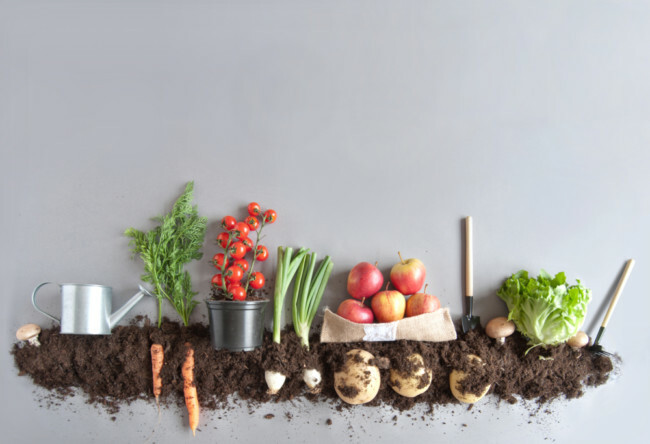 There are higher nutrient levels in organic food, so even though you might pay more for it, you get more nutrients for your dollar. And that means you need to get your children to eat less for them to get the same nutrient hit! Buying organic food saves our farmers from the toxic occupational exposure they face from spraying crops. Farmers have higher levels of neurological diseases such as Parkinson’s disease, so encouraging more farmers to grow organically will reduce the number who get these diseases. If we can see our farmer’s brains getting affected by pesticides, of course our children’s brains will be too! The good news is that once you switch from a conventional diet to an organic diet, the pesticide residues in the urine start to decrease. It is never too late to make the change to organic food. Pay our struggling farmers now or pay the doctor later! Children’s behaviour can be a big motivation for families to change how they eat. There has been an explosion in the diagnosis of behavioural issues such as ADD and ADHD in the last generation. This is partly driven by a change in expectation of how children should be behaving, but also due to the change in diet and lifestyle that has happened over the last 50 years. Our society now has so much stimulation, adults and children find it hard to switch off. 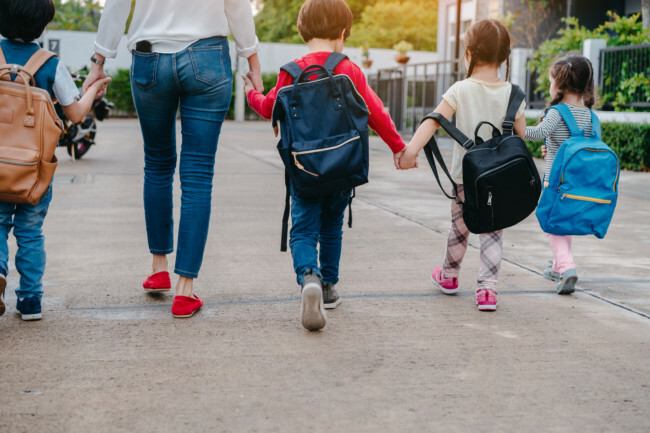 Whether your child has a diagnosis or not, if you want to address behavioural challenges naturally, here are some things you can start to work on right away. There are a few different things to look at when it comes to food and behaviour. When a child’s blood sugar drops too much (think hangry! ), their behaviour can quickly deteriorate. If you know your child is prone to outbursts of bad behaviour when they haven’t eaten for a while, you need to plan for frequent ‘snacks’. I hate to use the work ‘snack’ as people immediately think of ‘snack food’ and bring out the rice crackers, rice cakes and other processed food. If you think your child would benefit from eating frequently, make sure all this food is nutrient dense. Giving ‘cardboard food’, like rice crackers is filling them up with empty calories. This starves the good bacteria. It also sends blood sugar on a roller coaster, the exact thing we are trying to avoid. There should be protein, fat and a vegetable at every meal or snack. Studies show that hyperactive children eat more sugar than non-hyperactive children. The rocket fuel boost that children get from sugar will cause their behaviour to worsen. All sugar and refined carbohydrates should be removed from the diet. These should be replaced with nuts and seeds, and real food. Processed food is full of chemicals that we should not be eating, such as artificial colours, flavours and preservatives. Children are often the canaries in the coalmine,as they are more sensitive to these chemicals. We should all learn from these sensitivities. Many of these additives now carry warning labels in some countries, as studies have shown the negative affect on behaviour from consuming them. By eating real, whole foods, it is easy to avoid these chemicals. Allergies and intolerance are very common in children and can negatively affect their behaviour. The six foods most likely to cause are reaction are wheat, dairy, eggs, peanuts, corn and soy. Any food can be a culprit however, so thorough investigation is necessary. To determine the allergies, you can do allergy testing, or an elimination diet. Foods high in salicylates are some of the most healthy foods, but lots of children are sensitive to them, which affects behaviour. Don’t avoid healthy foods high in salicylate long term, but focus on healing the gut instead. By improving gut health, you can improve tolerance to high salicylate foods. Increasing omega 3 fats can make salicylates less of an issue, so try supplementing with a high dose of omega 3. It is important to note that the fish oil you buy in the supermarket very cheaply is not the best way to supplement. the dose is low so you have to take lots and lots of capsules. For kids, I prefer a high quality liquid, so only a small amount is needed. A high quality multivitamin supplement can improve brain biochemistry and correct lots of mild deficiencies. Sure, a child should be able to get all the vitamins and minerals from their diet. This usually doesn’t happen, for a few different reasons. Lots of children are not eating enough fruit, vegetables or high quality protein. If a child’s gut health isn’t great (through multiple courses of antibiotics for instance), they might not be absorbing the vitamins and minerals from their diet as well as they should be. This is a very calming nutrient. Low levels of magnesium can lead to fidgeting, restlessness, and insomnia. In the short term, your child might need a supplement to get their symptoms under control while you improve the dietary intake of magnesium. These are nutrients for the brain, and important for concentration. Children with behavioural issues will often be low in essential fatty acids. If your child has excessive thirst, dry skin, eczema and asthma, they may be deficient in essential fatty acids. You can do a blood test if you want to check, or you can go ahead and supplement with evening primrose oil or fish oil, and increase foods like linseeds or walnuts in the diet. If you can’t get evening primrose oil into your child (try my bliss ball recipe), try rubbing a teaspoon into the skin twice a day instead. Zinc is often deficient in children with behavioural issues. Children who have had 3 or more courses of antibiotics before the age of three can be low in zinc. This is because antibiotics disrupt gut health, and therefore absorption of nutrients. Another reason for low zinc is pyroluria (a genetic condition leading to low zinc and vitamin B6). Before you supplement with zinc, or if you want to know if your child has pyroluria, you need to do a blood test. These good bacteria are great for dealing with gut issues. Gut issues are very much related to behaviour issues. Not all probiotics are created equal however, and some will help with behaviour more than others. Depending on your child’s overall health and symptoms, I can recommend a specific therapeutic probiotic. Why do I recommended spending money on some biochemical tests? If a parent brings their child to see me with behavioural concerns, I like to do some tests to start off with. Although testing is expensive, it removes a lot of the guess work. With solid information, I can construct a treatment plan which is much more specific and can get to the root cause more quickly. In the end, it often works out cheaper to have the information from the testing up front. This looks at heavy metal toxicity. High levels of mercury or lead can be a factor in behaviour issues. These contaminants are all too common, especially in some areas of the country. Doing a hair test can identify if heavy metals are a problem, and then steps can be taken to reduce the heavy metals. This a urine test which can look for vitamin deficiencies, yeast over-growth and neurotransmitter levels. Neurotransmitters are brain chemicals which are really important for behaviour. For example, one neurotransmitter is called dopamine. Low dopamine can lead to behaviour issues. This test can also show if candida (yeast) is a problem. Too many antibiotics can lead to yeast overgrowth and cause your child to act a bit drunk! I also recommend some blood testing to look at magnesium levels, blood sugar, zinc, copper and essential fatty acids. Deficiencies in magnesium, zinc or essential fatty acids can be a trigger for bad behaviour. High copper levels can also be a problem. And if blood sugar drops dramatically, you child can act out. This can be a very useful shortcut, instead of doing months of tedious elimination and reintroduction of suspect foods. Food allergies and intolerance can be quickly identified and the offending foods removed. Children’s behaviour can be vastly improved by making some changes to their diet and lifestyle, and this is an area that I focus on a lot. Get in touch for a FREE 20 minute health check if you would like to learn more about how I can help with your child’s behaviour. Everyone is talking about gut health these days. But why does gut health matter? How can you tell if your child has an issue with Gut health? How do you improve gut health? If you gut isn’t working right, your body isn’t working right. Your child’s brain is part of their body, just like an arm or leg, so if their gut doesn’t work right, their brain won’t work right. There are some basic checks and measures you can do to check your child’s gut health. Whenever your child does a poop, have a look. Luckily our little darlings can often forget to flush, giving us ample opportunity to do this. If it floats, your child might be producing a bit too much gas, which might mean they have an infection or are lactose intolerant. If the gas causes your child pain or discomfort, this is a sign that their gut health is out of balance. They might not be chewing enough. This is a common issue when they go to big school and they want to get off to play as soon as possible. They might simply be eating too many hard-to-digest foods, like nuts. They may have some inflammation or not enough stomach acid. Check the number of bowel movements your child has each day. The ideal number per day is very individual. The rule of thumb is that most people should be moving their bowels at least once a day. If it is less than that, increase the number of veggie servings. Feed your child with a noticeably difficult to digest food, like corn or sesame seeds. Note the time they eat the food, then wait until you see the food reappear. Transit time should be 12-48 hours. Longer than that, and the food is sitting up there a bit too long. Longer than 72 hours is constipation. Do the test 3 times and get an average. This is the best way to describe poo formation. It ranges from 1 (hard nuts) to 7 (diarrhoea). If your child’s poo is in the 1-2 category or 6-7 category, you may want to take them to a gut specialist, such as a Nutritionist or Naturopath. Check out the Bristol stool chart. Does your child suffer from any of these issues? If you see something wriggling in the poo, your child has worms. There are natural ways to get rid of worms, without resorting to medication. These involve using essential oils or garlic. It is really something you need to do with a Nutritionist or Naturopath, to make sure you don’t kill off good bacteria too. The important thing is to keep the terrain of the gut healthy (See below, ‘How do I improve gut health’). This means keeping all the bacteria in balance. That way, they defend their territory and don’t let invaders like parasites or pathogenic (disease causing bacteria) take over. You can do specialised gut testing with your Nutritionist or Naturopath. This could be a stool analysis, breathe test or urine test and can assess how well your child’s digestive system is working. It checks if there is anything there that shouldn’t be there, or something missing that should be there. How do I improve gut health? Feed the good bacteria in your digestive system! You do this by eating more fibre and unprocessed foods. Highly processed foods are very easily digested., which means they’re completed digested early in the digestive process, and there is nothing left to feed the good bacteria in the bowel. You have to feed the good bacteria with fibre, or they can start to attack the walls of the intestines. This can trigger allergies and asthma. Eat more whole foods. Include lots of fruit, vegetables and nuts in your child’s diet. As well as feeding the good bacteria in your child’s gut, you want to boost the number of good guys in the bowel too. Eating foods that contain bacteria is a good way to do this, including fermented foods such as kefir, sauerkraut, live yoghurt or kvass. You can make your own or buy in the health food shop. Just make sure they aren’t pasteurised. If you know your child doesn’t have enough good bacteria, because they have had antibiotics, or have allergies, they may need a probiotic supplement too. Not literally handfuls of dirt. Just relax the sterility a bit. Play outside and get dirty. Be sensible though — wash hands before eating, after blowing nose, or touching something contaminated (like poo, compost, or vomit). Wash with soap and water, not antibacterial soap. Lots of medications are harmful to your gut, the most well-known being antibiotics. Don’t get me wrong. Antibiotics are life savers, but they are for emergencies only. I have one child who wouldn’t be here today without the existence of antibiotics. Ever taken an antibiotic and gotten thrush straight away? That’s because yeast has taken over in the absence of good bacteria. If your child has had multiple courses of antibiotics, they will need a good quality probiotic for the foreseeable future. Other medications are damaging too, including reflux medication, that is designed to reduce stomach acid. Guess what? We need that stomach acid! That is one of the body’s first lines of defence again infection. Remove the acid, and the bad guys (worms, yeast and bacteria) get in a bit easier. Anti-inflammatories and asthma medication can also harm your gut. This is a really important factor which doesn’t get talked about too much. Basically, the migrating motor complex (MMC) is the electrical activity of the muscle in the gut between meals. It is responsible for keeping undigested food moving and moving bacteria from the small intestine to the large intestine. It occurs in cycles, about every 1.5 – 2 hours. It only works when you are not eating. That means, if your child grazes continuously throughout the day, the MMC never kicks in. This can lead to stagnation of undigested food, and over growth of bacteria in the small intestine. So another important way to keep your child’s gut health is to stick to designated meal times and snack times only. 50 years ago, there were 3 square meals a day. Now we have somehow moved to about 3 meals, 3 snacks, and possibly even some food in between there somewhere. A lot of this change is driven by the food industry. If you have to prepare food from scratch for 6-7 eating occasions per day – will you do it? But if you can grab something off the shelf, you are much more likely to do it. More snacking occasions = more food sales. Some children need so much food, that they need 3 meals and 2 snacks, especially if they are little. You will find if they are having whole foods with ample fat and fibre, they will get less hungry outside of these times. Especially in the school holidays, I find myself having to write meal and snack times up on the fridge. If anyone asks for anything outside of this, tough luck. I’m only thinking of your migrating motor complex, darling. Healing foods are natural foods that will help rebuild your child’s gut lining. Cheaper cuts of meat such as Osso Bucco. The amino acid glycine is higher in cheaper cuts of meat, making it more healing. Cook in the slow cooker, kids love the tender meat. Stress and anxiety will play havoc with gut health and similarly, poor gut health will lead to stress and anxiety. A great place to start with improving this cycle in kids is to have them play outside for 1- 3 hours a day, preferably in natural light to get the vitamin D level topped-up. Try not to fight over food (says she who says your child must eat 5 veggies a day, fermented foods and less snacking!). Try to model good food choices, don’t make veggies out to be punishment, or less appealing (‘you can’t have dessert unless you eat the broccoli’ is setting broccoli up as not appealing). For a lot of people, foods such as grains, legumes, dairy, processed foods or sugar may cause gut irritation. Your child may have a food intolerance to a random food. By identifying and excluding irritating foods for 6 months and working on gut healing, you may be able to reintroduce some of these foods later. I hope you find this useful and it helps to put into perspective why you need to think about gut health in relation to you child. If you think your child might need to improve their gut health, click here to arrange a FREE 20 minute PHONE HEALTH CHECK.